I love me some letter boards! They used to be very expensive and used by stores and restaurants to communicate discounts and menu’s. 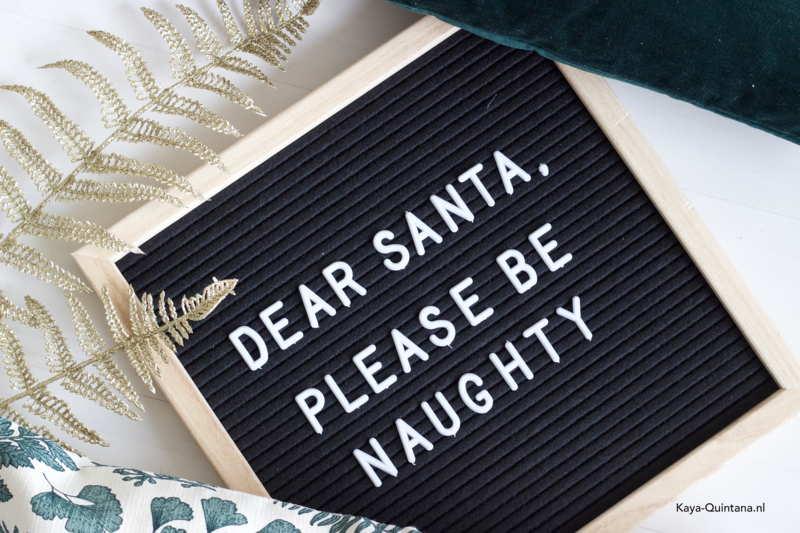 Nowadays these vintage letter boards are also available to interior loving humans. I bought my first one about two months ago at Hema, a Dutch department store. It’s a big one and it only cost me €15, a pretty good deal if you ask me. Now I’ve bought my second one at the garden centre called Intratuin. They had three size options and I already had a rectangular one. I chose the square version which was on sale for only €9,99 at Intratuin. I picked the black one, but they also have a grey vintage letter board. And if you don’t want a square one, they also have the rectangular version in two sizes. Yes, I am very happy that I found a square letter board for such a good price. I had been looking online for weeks and they were all priced around €40 a piece. The reason why I like letter boards is because I love myself some vintage and retro vibes. My house is filled with vintage pieces and second-hand items. I like mixing it up with high end pieces and new furniture. I really like it when the items I buy for my house have their own stories. This vintage letter board might be new, but it will be telling my story. I like using quotes and sometimes just one word to express what is on my mind. 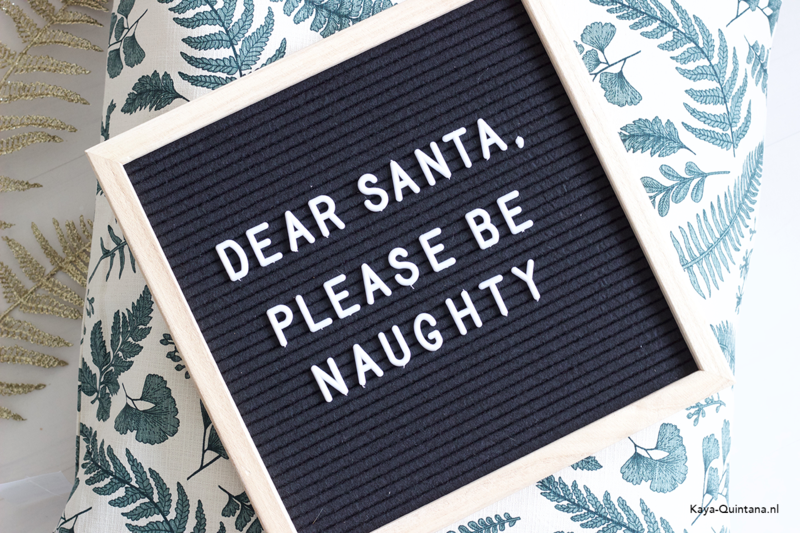 For now I have the phrase ‘Dear Santa, please be naughty’ up on the vintage letter board. I love Christmas, but I also like to have some fun with it. 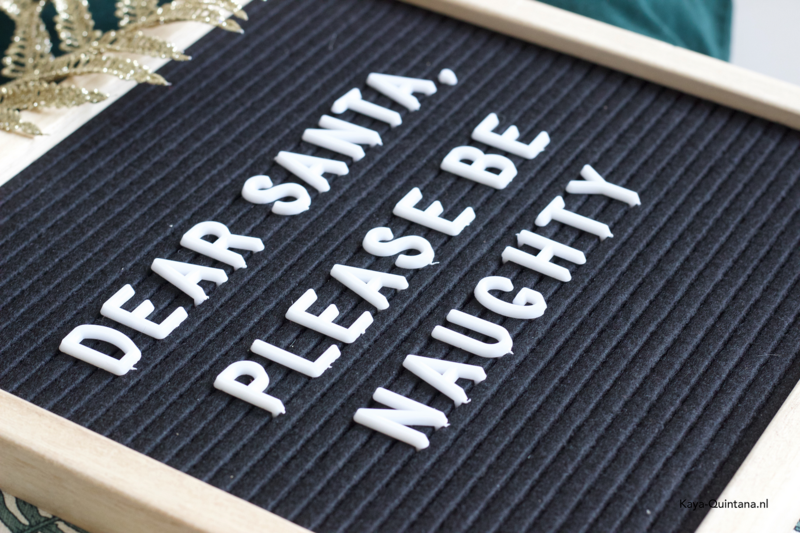 So why be nice when you can be naughty, am I right!? I hope that this letter board tip helps you out, if you have been looking for one for a while. One of my former colleagues has a black with gold letter board. She has her Wi-Fi password on there for friends and family who visit her at home, such a good idea! She also got me a pink letter board with a white frame for my office. I love it and I’m looking for the perfect place to put it. I guess it’s clear I really, really like letter boards. Although I am going to put a stop on buying them now. Between my office and my house I now have four of them, oops! To be honest they do come in handy for more than decorating. We have been using them to create social media content too. Yup, I love me some letter boards! Do you like vintage letter boards too? P.S. Follow me on Instagram for more interior design tips.